The Fuente Royal Salute is another one of my favorite cigars. I tried my first one in about 1980 and have been smoking them ever since. They, like the Griffins are on the expensive side so I smoke them sparingly. Whenever I want to treat myself I smoke a Royal Salute of a Griffin. Been smoking the Royal Salute cigars for over 20 years. Have not found any cigar that compares to the Arturo Royal Salute. 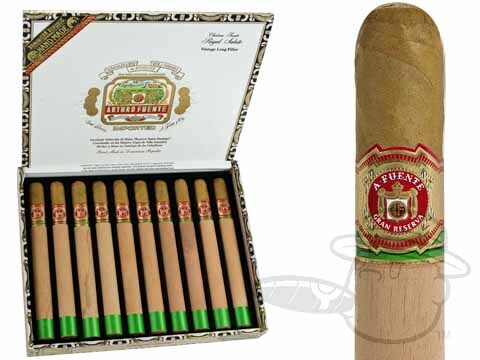 Arturo Fuente Royal Salute Natural is rated 5 out of 5 based on 3 customer ratings.